Seller is Installing a NEW ROOF! Location Location Location, Perfect place to raise your family! This is a great community in a wonderful school district with NO CDD fees and very low HOA fees. 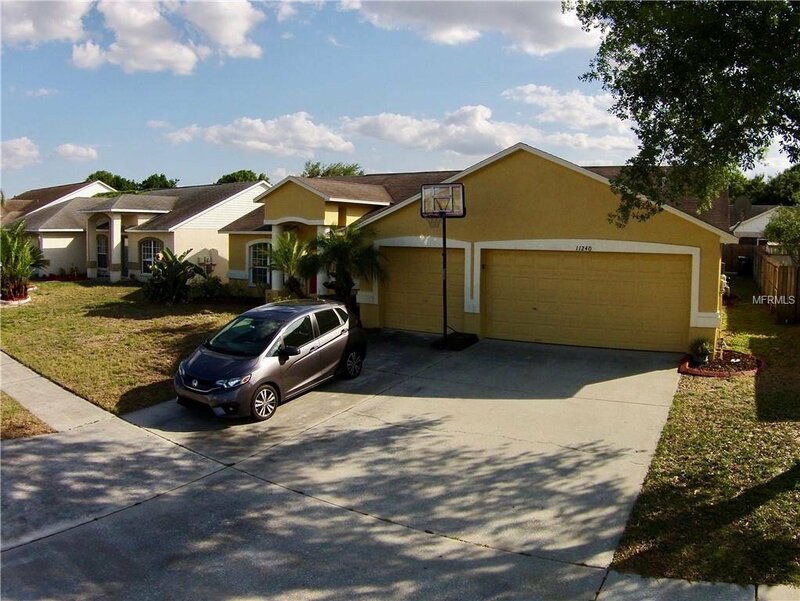 Plenty of space in this home with a 3 car garage and pool. Open floor plan allows the cook to converse with the rest of the family while watching TV or relaxing in the family room. Home has tile through out so no worries with allergies or pets. Additionaly there is a formal dinning room perfect to entertain during holiday gatherings. Formal living room can easily be converted to a study if not needed. Split plan gives plenty of privacy for growing families or visitors. Master bedroom and bath are over-sized and has a private entrance way to the outdoor living area. Come and relax and enjoy the pool which has a partial out door kitchen and plenty of space for summer entertaining. This house will not last long make an appointment to view quick. Listing courtesy of COMING HOME REAL ESTATE LLC. Selling Office: KELLER WILLIAMS TAMPA PROP..